In 2010, while Dubstep was about to become a really big thing, a lot of artists were still experimenting before it had its mainstream, popular NI Massive sound. 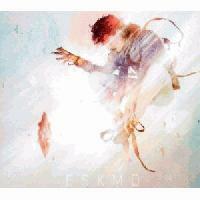 Eskmo releases his self-titled album and first popular one the same month Skrillex releases his breakthrough EP. Chillstep doesn't really have a name yet, but this album can be easy considered an "IDM-Chillstep" album. Cloudlight is in no doubt the best song here and also Eskmo's most popular work : it has this high frequence wobble bass, these complex and particular drum sounds, these effects and gentle synth that make the whole piece sound like it's nature trying dubstep (at least that's how I see it). Now it's true the rest of the album is not always as touching as the lead single is, though it has undeniably a personnal sound, the same weird vocals, the same recognizable drums... and it's not always the same thing either, sometimes it can even hardly be described as Dubstep, as it's not the same BPM and structure at all. Talking about structure, the album has some great transition pieces that show Eskmo's ambient side (later to be heard more in Sol).rSo Eskmo isn't Untrue, but it sounds like no other Dubstep album and I think it influenced way more artists than people realize. It's not perfect, but it's beautiful. Everyone interested in Bass Music should listen to it.